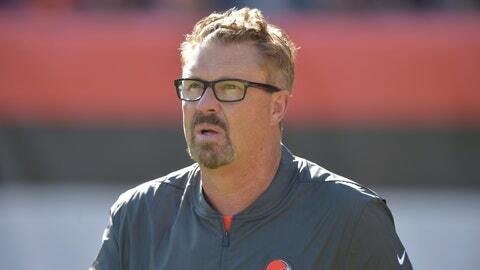 BEREA, Ohio (AP) — Browns general manager John Dorsey says interim coach Gregg Williams will be interviewed to be the team’s next coach. Williams took over when Hue Jackson was fired on Oct. 29 after winning three games in two-plus seasons. Dorsey has been pleased with how the team has performed under Williams, their fiery defensive coordinator. The 60-year-old Williams coached Buffalo in 2001-03. Dorsey said Williams deserves the chance to be considered for the full-time job. The Browns have split their two games under Williams, and Dorsey has been impressed with how the team has been focused and disciplined the past two weeks. Dorsey has never headed a coaching search and understands the importance of getting this one right for a franchise that has undergone major upheaval in recent years. Dorsey wouldn’t reveal who in the organization is helping him with the search, but said the team will not use an outside firm.